The SUV world was more or less stable until a few supercar manufacturers wanted to try out this space. The SUV space, which most would relate to as a four-by-four segment or hulk of a vehicle able to carry a house, started to transform. The speed dimension, I mean, started to transform. Die-hard SUV fans know a supercar could never do what a Jeep or G-wagen can do off-road. That doesn't require speed, that requires muscles and character! But coming back to the speed dimension, high-end makers like Jaguar, Bentley, and Lamborghini just lit up this SUV space. Even Maserati entered the fray. But it was the Bentley which took the the SUV world by storm and brought it to the level of the fastest of the fastest. And as we speak Rolls-Royce has entered this segment too. So we can expect a lot of fireworks. At this point, let me take a couple of minutes to explain the difference between cars and SUVs, so readers can appreciate what class of vehicle belongs on this list. Cars, by way of construction, are low-slung, aerodynamic, and usually one shell (unlike SUVs which would be usually ladder-on-frame). By virtue of their construction, they can accelerate faster and reach a much higher top speed than an SUV. As we go through the list, readers will see that the fastest car in the world today is nearly 150 kmph faster than the fastest SUV; in fact, the fastest car in the world in the 1980s is still faster than the fastest SUV of 2018. 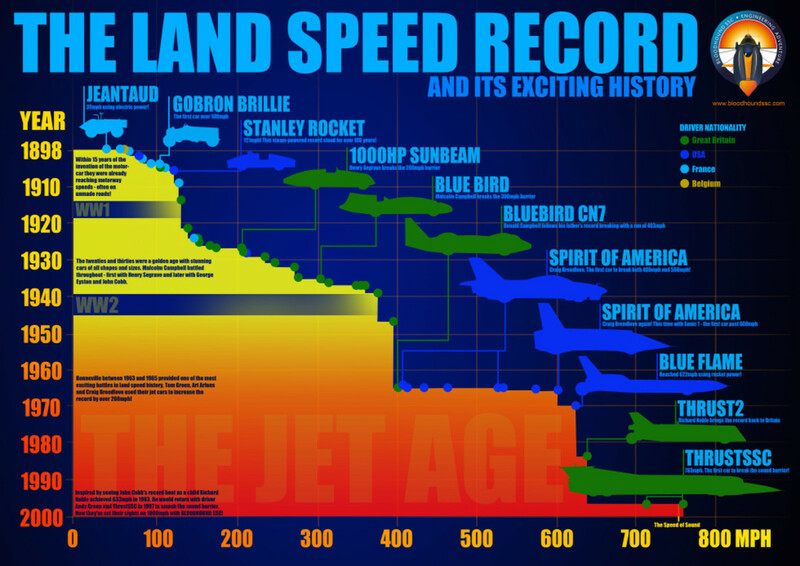 How's that for a speed comparison! Cars may have powerful engines to go faster at the expense of seating space, whereas SUVs may have powerful engines to carry more load (meaning more people), and only after that to be fast. Now talking specifically about SUVs, they would have higher ground clearance and usually a tall and sturdy look (not sleek like a car). As the name suggests, they are sports utility vehicles, which means their primary objective is to be utilitarian and only then add a spice of sporty look. They can go places where conventionally, cars won’t go, like a rocky off-road course or for that matter gravel tracks or even muddy terrains. So, the reason such vehicles were originally bought were to access paths which a normal car couldn’t do, and of course, with time it became a lifestyle object much like a car. So that, in a nutshell, is the basic difference between a car and an SUV. Since most of the SUVs on the list are two tons and above, their top speed is electronically controlled. They do scorch the road but not to the extent of giving the fastest cars in the world a sleepless night, as we already saw. Wonder if the story would be the same if their speed controllers were removed. Maybe that should be on the cards for comparing the fastest SUVs with the fastest cars. Watch this space, you never know, we may get what we ask for! So, let’s get started to know the segment leaders in terms of top speed. 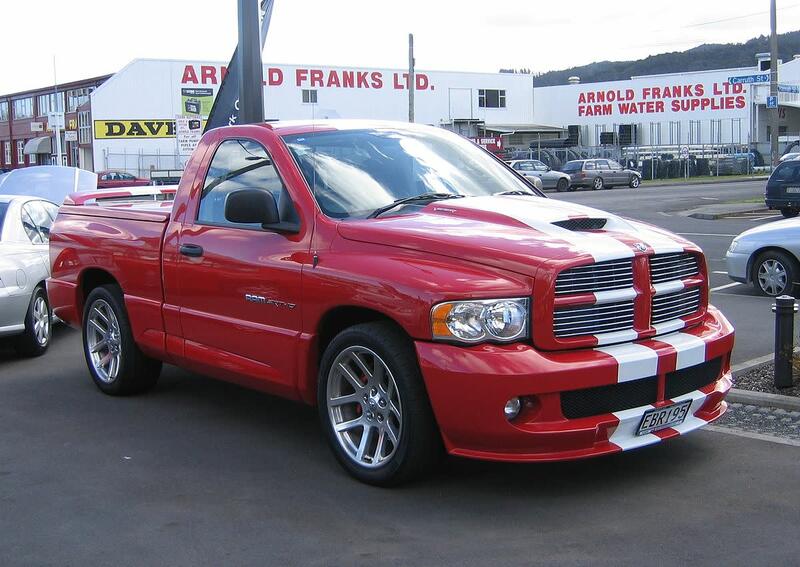 You can also read about the Fastest Pickup Trucks here. Lamborghini is the newest entrant to the SUV world and what a way to enter. They not only made a cool looking SUV but made it the fastest in the world. Incidentally, the second SUV on the list too did the same thing when it was launched but more of that later. Talking about the Lambo, the Urus is drool-worthy and is packed with an engine which can literally move mountains. Being an SUV, the Urus has high ground clearance, and maybe that is why the top speed is maintained at 305 kmph. I mean, probably the vehicle could go faster. The McLaren F1, the erstwhile fastest car in the world, comes with a 627 hp engine but can do 384 kmph. Then again, this is not a fair comparison, considering ground clearance, weight, aerodynamics, and many other factors. Nonetheless, there is not a single SUV in the world which can overtake a Urus when it is at its top speed. 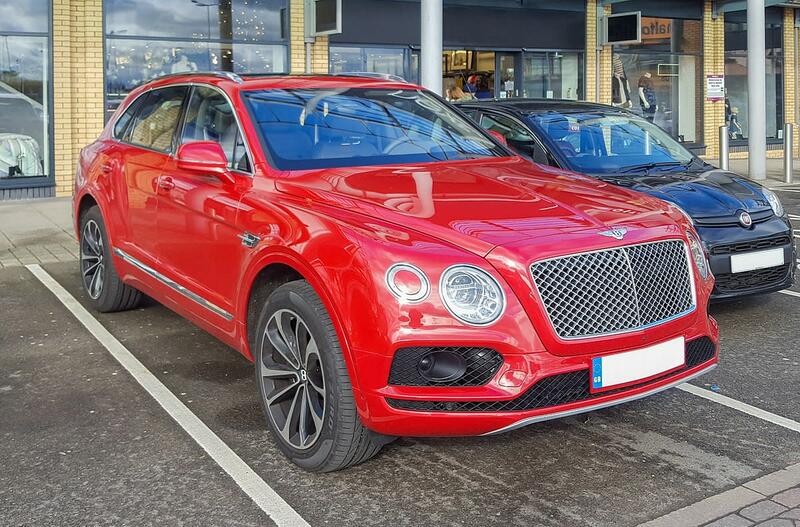 The Bentayga was the fastest in the world when it was launched a little over a year before the Urus. The Bentayga still holds the record for the first SUV to go above 300 kmph and it did it in style. Coming from the Bentley stable, luxury was a given, but speed? Well, it was a bonus that came from the Bentleys. To be honest, even now the Bentayga is just about pipped by the Urus; that says a lot about the engineers who got the beast flying at such speeds. Bentley released a new version of the Bentayga in Feb 2019, called "Speed". Bentayga Speed did a 306 kmph top speed run, thus pipping the Urus by one kmph. However, the positions of Lamborghini Urus and Bentayga remain the same as of now. Why? 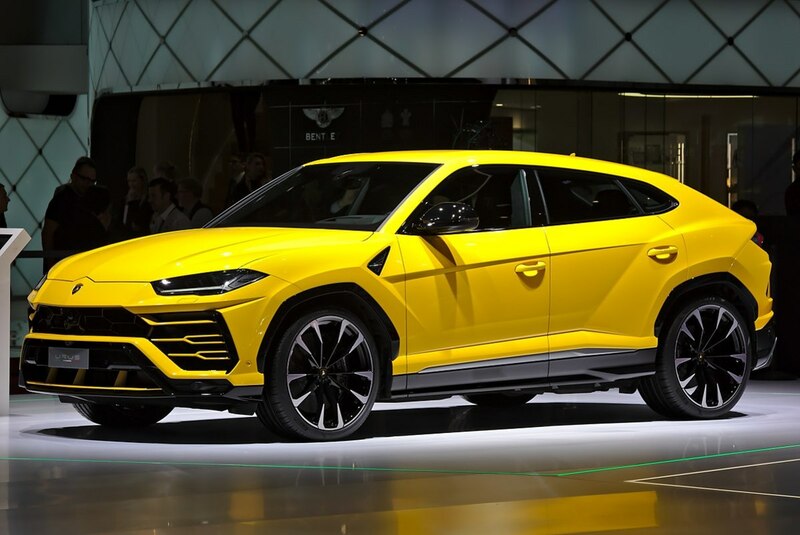 There are talks of Urus going even faster. So, we will give it a couple of months, and if Bentayga Speed is still the faster one, then it will be moved to the first position. The Bentayga Mulliner is the most powerful in terms of engine configuration, but there are other Bentaygas with different configurations. If ever Bond got into a Mulliner to catch a fugitive fleeing in a Urus, he would be itching for that eeny-weeny-tiny bit of more speed to catch the Urus. Oh, he has weapons in the Mulliner, you say! Hmm.. Maybe! Maserati Levante is an SUV which represents the first instance of a supercar manufacturer showing interest in the SUV space. 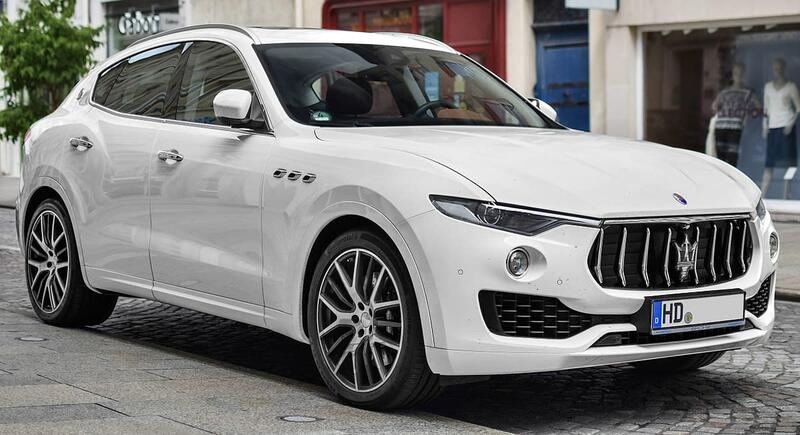 True, many of them were talking about it, but Maserati launched an SUV first. It was here even before the Bentayga and Urus and yet, for some reason, did not generate the buzz that the other two generated. The Trofeo, the newest and most powerful version of the Levante, was launched in 2018. In terms of speed, it lands quite close to the territory of the Urus and Bentayga. This is the first legendary SUV on the list and has been an SUV as long as anyone can remember. The supercar manufacturers took the top spots and left the Grand Cherokee Trackhawk in the fourth spot. Trackhawk is part of the Hennessey performance upgrade for the Cherokee much like AMG is for the Mercedes. The Jeep, an American-style SUV, is a muscular vehicle as compared to the three SUVs we have seen so far. So, it may still hold its own despite the advent of the newer SUVs. But that is not all: if the Hennessey guys are to be believed, then they are coming with a 1000 hp Cherokee which will be able to do a 0-60 mph in 2.7 sec (has already done) and a top speed which might just take it up to the top spot. Take a look at this video of the 1000-hp Jeep Cherokee. Super SUVs did we say? Just wait till the 1000-hp Cherokee Trackhawk comes out. The Cayenne has been in the market since 2002 and is a well-known brand, something of a crossover. It can do a top speed of 285 kmph. The Porsche Cayenne Diesel holds the Guinness World Record for the heaviest aircraft pulled by a production vehicle when it pulled a 280 ton Airbus A380 to a distance of 42 meters. Porsche then repeated the feat with a petrol-powered Cayenne as well. The previous record holder was a Nissan Patrol towing a 170-ton Ilyushin Il-76. 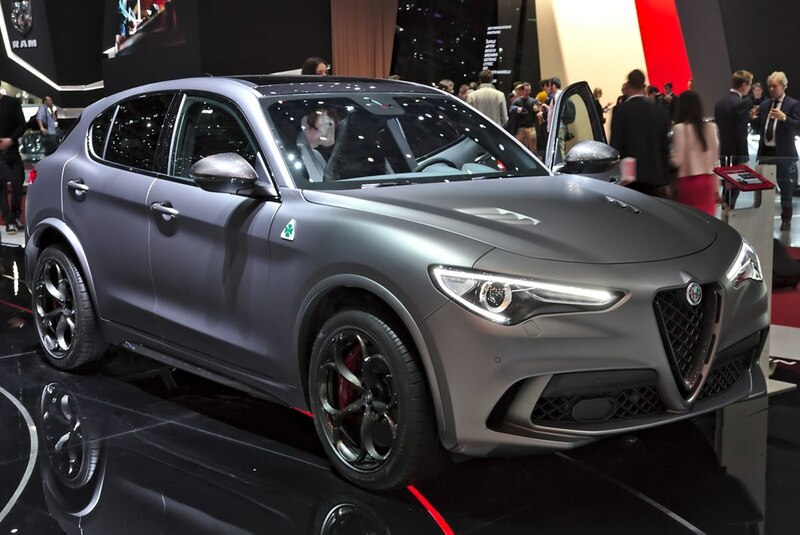 The Alfa Romeo Stelvio was one of the fastest in 2016, at about the same time the Maserati Levante was launched. In fact, it is using the same platform which is shared with Maserati, Dodge, and Jeep. So, in other words, the Levante is a cousin of the Stelvio. When it comes to speed, however, the Alfa Romeo comes sixth in the overall list. 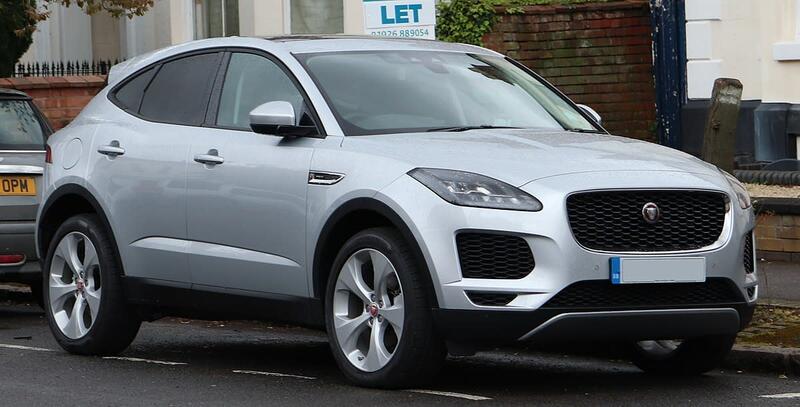 Jaguar is another brand which made iconic cars in the past and has forayed into the SUV space. The F-Pace did have a fresh look when it was launched and a welcome departure from the SUV looks that we are normally so used to; of course, looks can be subjective. The SVR model is the power-house under the F-Pace Umbrella. Though the Jaguar S version does a 0-100 kmph in about 5.4 seconds, the SVR does it in 4.3 seconds. The 5.0 liter supercharged V8 SVR makes the Jaguar F-Pace one powerful SUV. Much as Jeep is the iconic brand from the United States, Range Rover is the same for the United Kingdom. It would have been sad if we had found no Rangy to talk about. 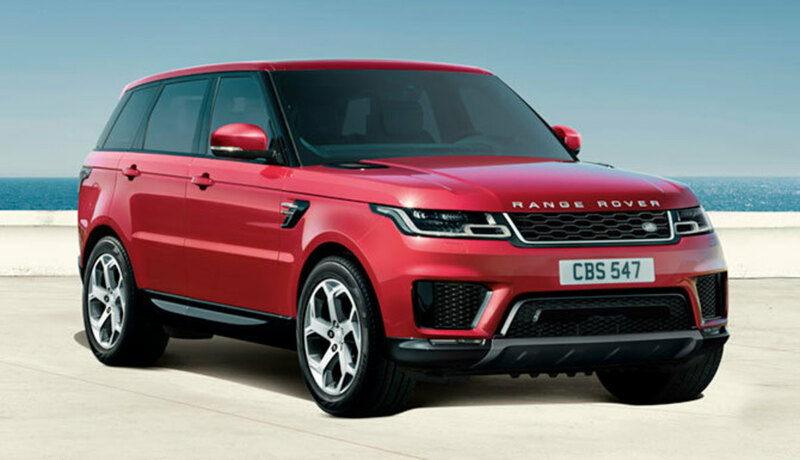 Luckily for us, we have the Range Rover Sport at a top speed of 283 kmph making the list. Traditionally, if we were to speak about real SUVs which were 4x4 and off-road capable, names like Range Rover, Defender, Jeep, and Mercedes G-Wagen would come to mind. There are other players, but these have made their name in the market and command respect. They are competitors in almost all of the major markets globally. A bit of trivia here—Jaguar Land Rover, under Tata, was already operating in India, while Jeep was about to launch in 2016. On the day of launch, JLR India tweeted welcoming Jeep (under FCA) to India, and then Jeep responded. That message was both calling on the competition for the challenge as much as welcoming it. It went from one Titan to another much to the amusement of fans. That’s how they did it old-school! 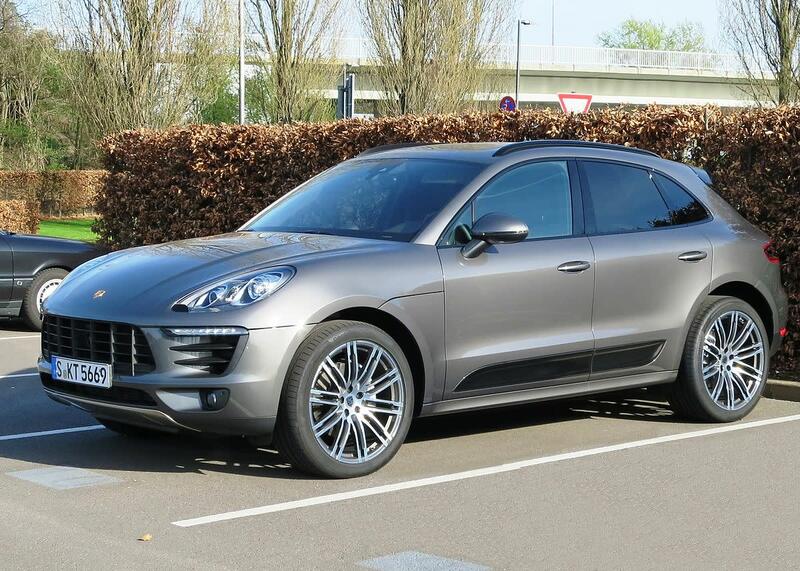 The Macan, launched in 2014, and was a well-received crossover from the Porsche stable. Power-wise, it is lesser than the Cayenne, but fast enough to be seventh on the list. From here on the list will mostly include SUVs which are electronically controlled for top speed and this will be around the 250 kmph range. Almost all the Mercedes SUV's for that matter with the AMG treatment can fall in that zone. Of course, AMG allows a driver package which can open up the top speed. 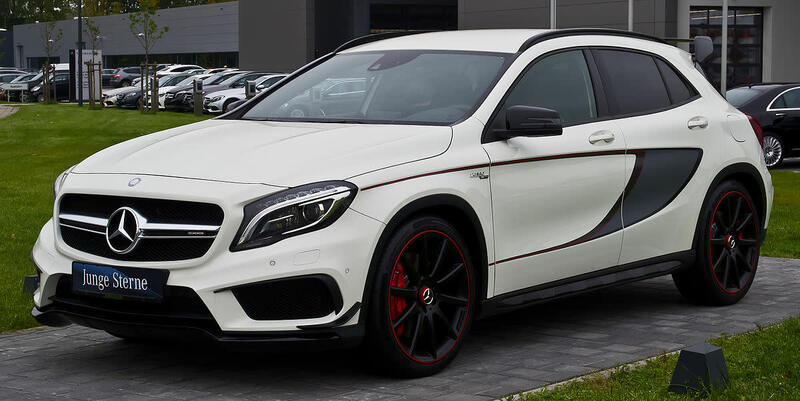 That said, let’s see the AMG GLA45. Now, this was the quickest SUV before the Maserati, Bentley, Lamborghini, Tesla, and others were launched. 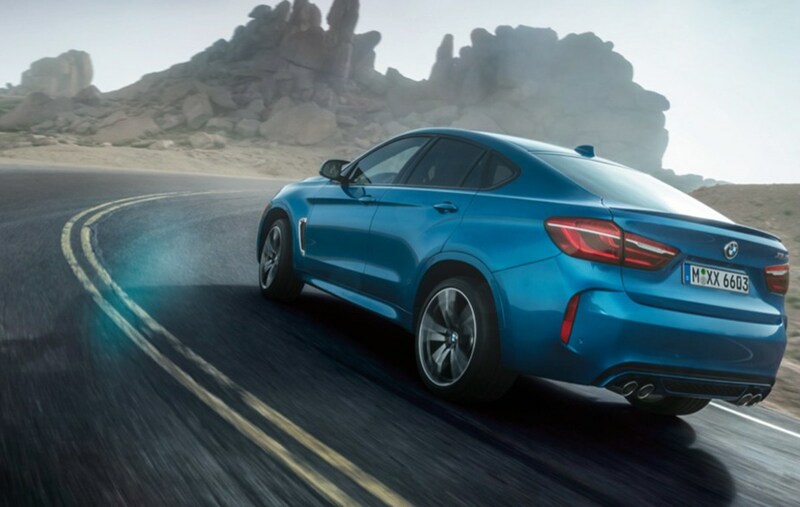 The BMW X6M was an enigma as it defied logic in many cases. Everyone who tested the vehicle could not fathom how it could be heavier yet faster, nimbler, with zero body roll, as compared to M5, M6 or M3. Yes, we are saying an SUV was better than the sedans! When did that happen ever before? The M badge for the BMW is similar to the AMG badge for the Mercedes. They are in-house performance package creators for the stock BMW vehicles, and what a work they have done on the BMW X6 M! Note: Multiple models will have speed overlaps from this point. For example, Merc GLS, GLE, BMW, Audi and other SUVs will have few models in the speed range of 200-250 kmph. However, going forward from here, we will talk about a few of the brands for their genesis or uniqueness, not necessarily just their speed. The Cullinan is the first attempt by Rolls-Royce to enter the SUV space. This is much like Bentayga was Bentley’s attempt. Though, the common thing is that both of them have done a good job in getting a super-uber luxury SUV to the world. The Cullinan oozes luxury and what’s more, it can do some dune bashing, if you want it to. 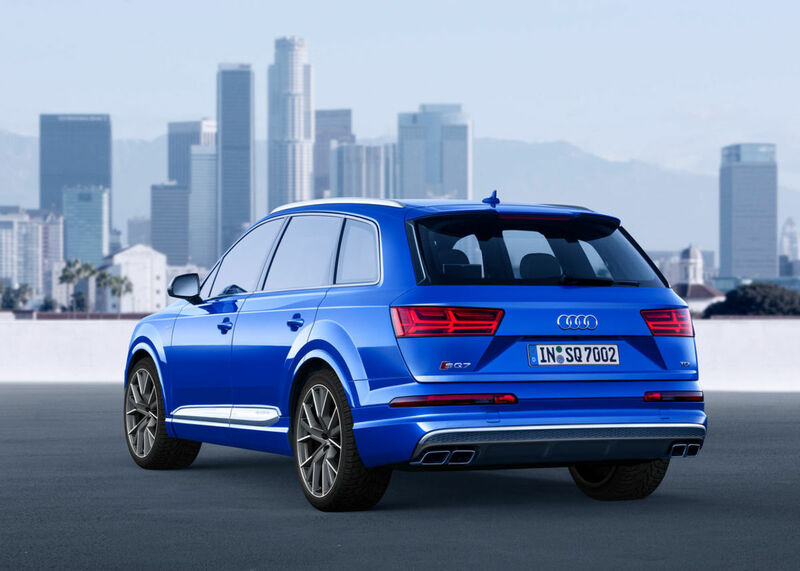 The Q7 was the largest of the SUVs from the Audi stable and one which was fast enough to make it to this list. 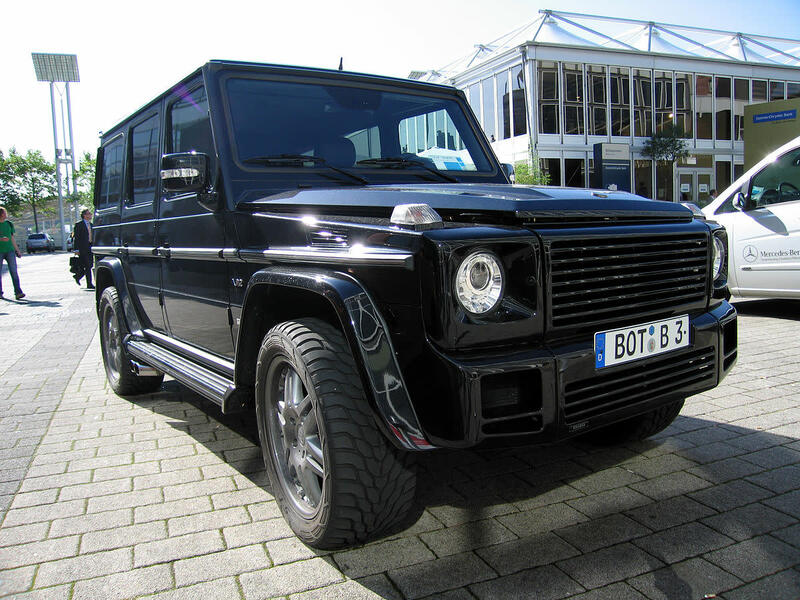 Despite its size, it comes before the iconic G63 and that should throw some surprises to the readers. But that’s how it is, it has a top speed of 250 kmph. 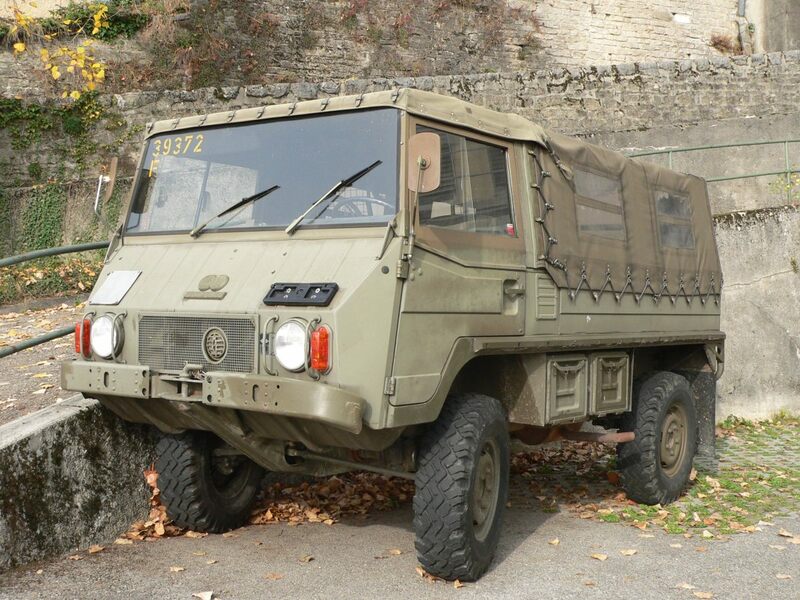 The Gelandewagen is the iconic Mercedes brand going back to its root as a military vehicle. No one can have doubts about it being an SUV, and those who do, one good look and one loud grunt from the beast are good enough to settle the matter. Just imagine this beast having an AMG badge – yeah, you guessed it right – Insane. The King of Iran was the one to suggest the development of G wagen as a military vehicle. At that time the King had a significant shareholding in Mercedes. Later in 1979, it was launched to the public as an SUV. The military version also sold well with the Argentine Army being the first to buy it. This is the baby Jag in the SUV segment and slots below the F-Pace. Baby Jag doesn’t take away the fact that this Jaguar is still fast, quite fast. Now, when I got started with this list, little did I hope to see an electric SUV over here, but how wrong was I? Tesla Model X makes it to the list but it is not the top speed which is impressive over here but it is the acceleration. As Elon Musk puts it, it is the quickest SUV in the world. Well, with the stats of all other SUVs over here, you really can’t disagree with that. Also, the Model X, in acceleration beats a supercar like the Aventador. Can you beat that? Take a look at the video below. It must have been a bit of pain for the Lambo’s owner to see the car beaten so cleanly by the Model X and remember folks that this is an SUV beating a supercar. When did we hear of that before? Just wait till Tesla’s Roadster is launched, we can all kiss all these fuel guzzling supercars goodbye. Well, for the sake of the supercar owners - they are not that bad either. Peace! Just for the record, the Tesla Model X holds the Guinness World Record for the heaviest tow by an electric vehicle. The Model X pulled a 130 ton Boeing 787 nearly 1000 feet on a taxiway in Melbourne. In the last video, you saw the Tesla Model X P100D beating the daylights out of the Lambo and in the video below you will see the Jaguar doing the same to the Tesla. 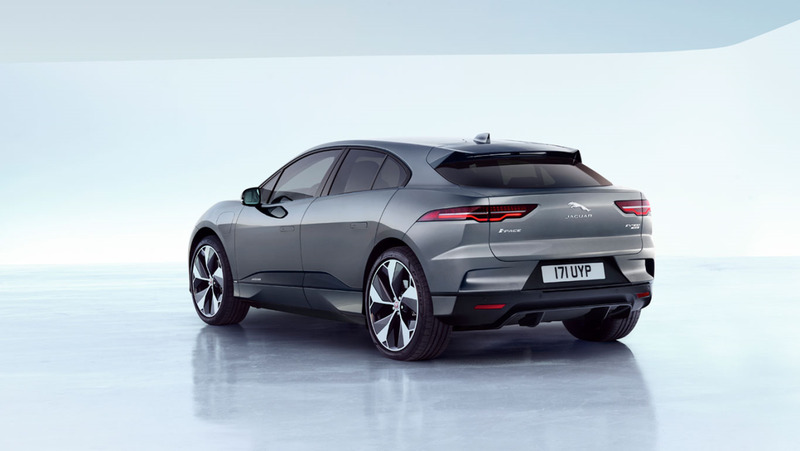 Yes, the Jaguar I - Pace is an electric SUV and in a sense betters the performance of the Tesla. It is expected to be launched in the second half of 2018. What beats logic is that on paper when you compare 0-100, power and top speed, the Tesla is ahead but yet on the day, Jaguar beats it. If anyone knows why, leave a comment below. Why am I mentioning about the Nissan Qashqai? Well, this is the SUV that just beat the fastest car in the world, the Koenigsegg Agera RS and I am not joking. It is faster than all the SUVs on this list. A 148 hp SUV beats a 1000+ hp hypercar, you may ask, and I will say, yes, but with a little modification. We are referring to the VMax 200 event held in the U.K. where all the hypercar and supercar owners join the event to let their cars loose. The Qashqai in discussion was modified to a 2000 hp behemoth with a GT-R engine (modified again) and all packed into the shell of the SUV; little modification did I say? The Qashqai beat the daylights out of the hypercars in the arena and of course, out of the fastest of them all too. 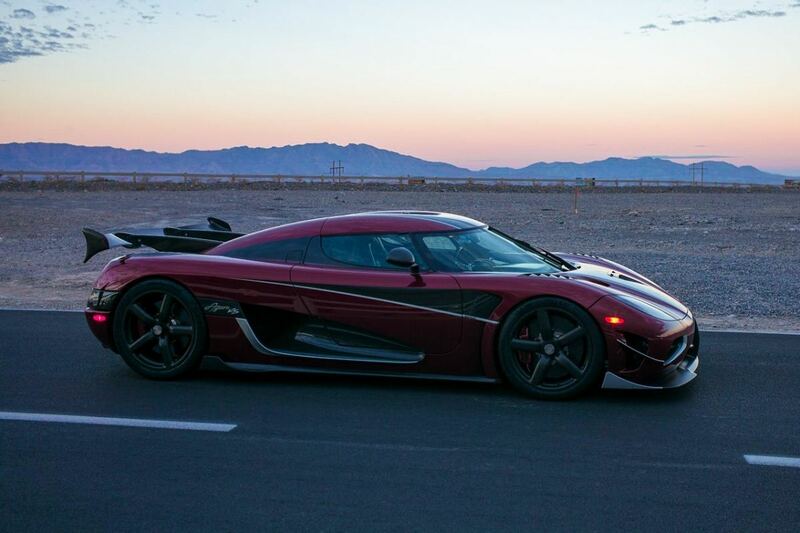 The Koenigsegg on that day could muster a speed of just about 221 mph, leaving the Qashqai at the top. However, a later run saw it making it to 242 mph, just a shy ahead of the Qashqai; face-saver for the Koenigsegg but nothing lost for the Qashqai. 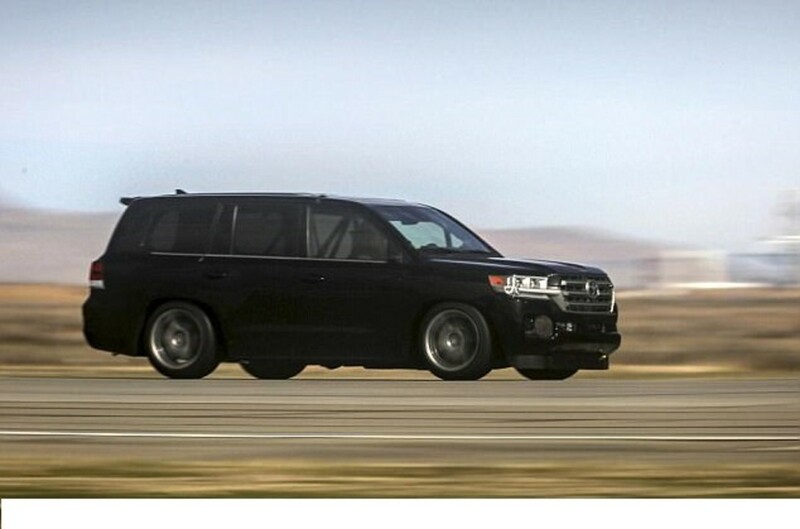 The Nissan was so fast that it broke the previous record held by a modified Toyota Land Cruiser which did a 230 mph run. Of course, technicalities then came into play even before the second day ended with many questioning whether the Qashqai really beat the Land Cruiser which is a real SUV versus the Qashqai, a cross-over. Technicalities notwithstanding, the Qashqai would have beaten the heck out of the Land Cruiser, if it was there; ask the Koenigsegg’s owner. If we spoke about the Nissan Qashqai, it is only fair to talk about the Land Cruiser which made the 230 mph record in the first place. It was no mean achievement considering the size of the Land Cruiser. 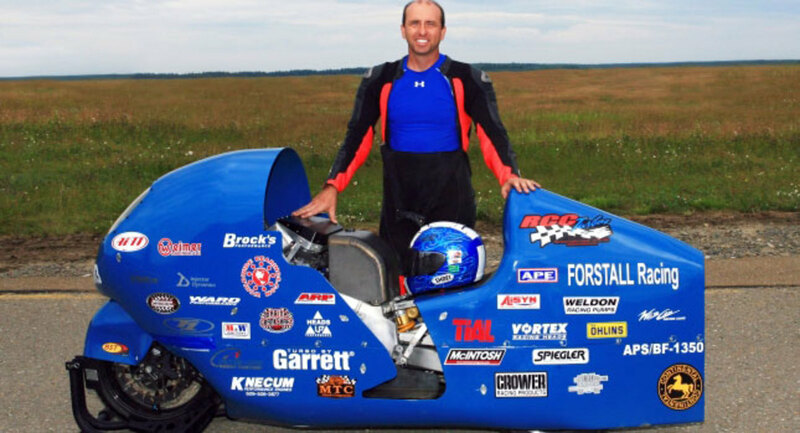 I mean, a vehicle that big doing a 230 mph, wow! Take a look at the video below to see the initial runs leading up to the final run. Much like the Qashqai, the Land Cruiser's power was raised to 2000 hp, the body was lowered, suspension stiffened and tires were upgraded to be able to handle the maddening speed. In the end, it did it and broke the record created by a Merc SUV in the past. The Land Cruiser had created the record a little more than a year before the Qashqai broke it. That's history for those interested! This segment has not seen the last of things. 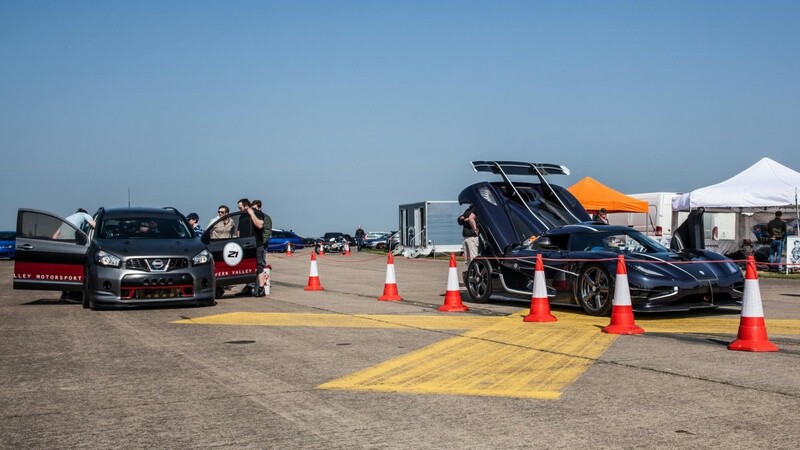 It is even hotter than the fastest car line-up with the Bugatti Chiron vying to kill the Koenigsegg Agera RS, that is assuming the Venom F5 has nothing to do in the matter. Such rivalry where three car makers are vying for the top speed spot is unprecedented. But look at the SUV world, it is not too far behind. As we speak, the 1000 hp Trackhawk must be making It to the market very soon while the guys at Severn are not happy with the 237 mph record that the Qashqai did and want to go faster (what’s up with these guys? ), and to add to this there may be more supercar manufacturers launching SUVs, not to mention the ones who have already launched wanting to enter the other SUV sub-segments with more powerful ones… Phew! Which was your favorite SUV? 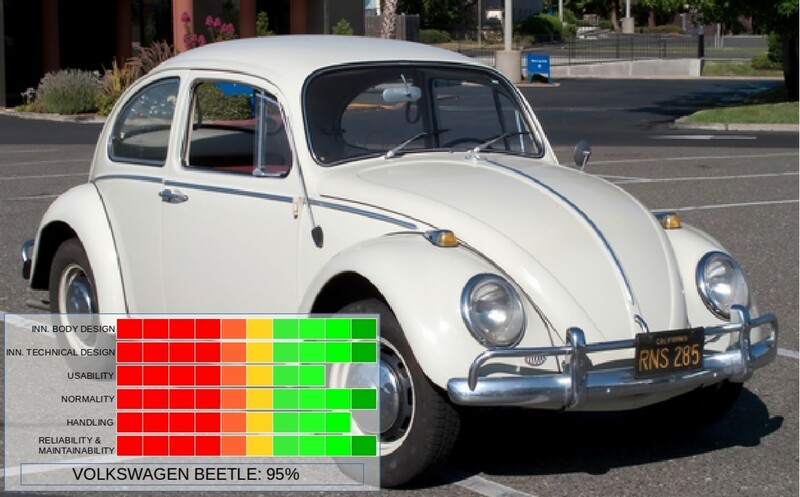 Looks like you are a car enthusiast, Pringgo. Great to have your views. By the way, I happened to see a Bentayga pass by. It's quite huge. The pictures don't do justice to its dimensions. In reality, it is really big for a Luxury SUV. Yes, I'm keen to see the EQC's performance as well. But then, time is definitely what the list needs. I agree, I usually rate the Bentayga and the Cullinan as a superSUV, where as you said, it is a direct PR with existing client base. But once when the vehicles enters the streets in public, many will then wonder what particular car is that. You're very welcome, it's great to be able to share the view on the subject, especially on cars in general. Can't rule out a Cayenne Hybrid, considering the Mercs have already launched the EQC. That is a cool SUV too but on this list slots below the Jaguar I - Pace. There are few other manufacturers, supposedly, launching electric cars and SUVs. I will give it a few months and then update the list rather than one-by-one. Yes, probably sometime has passed then we can see the results to start kicking in. I absolutely agree with your theory as well. But one of the important result that we can see from such polls also reveals who has done an outstanding job in marketing the cars into the public's eyes. 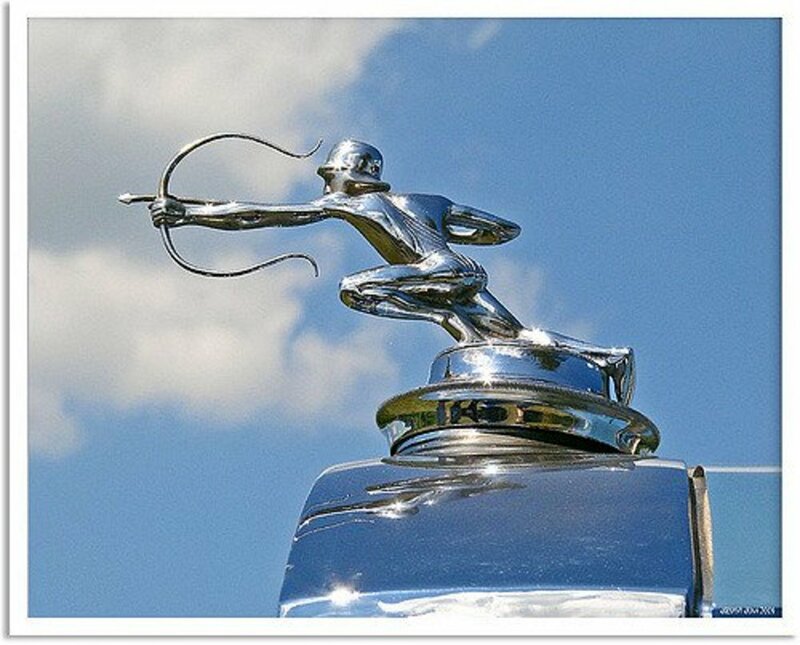 Of course, rare brands may have a slight disadvantage in this case, however, if the automobile brand has done an outstanding job on the PR, surely more users will tend to consider the options. I guess a Cayenne Turbo S Hybrid is needed to even it out? - Back to the drawing boards lads. Hahahha, "depleted gas tank about 10 minutes later" - that was funny Pringgo! This article is fairly new as compared to the Fastest Cars article that you had seen. So, give it time and we may see Porsche fans rooting for their favorite SUV. Also, one other observation of mine through such polls on other articles like fastest cars, bikes, military aircraft, etc. is that people tend to vote for what they like, either from what they already know or from what they have as a take away from that particular article. 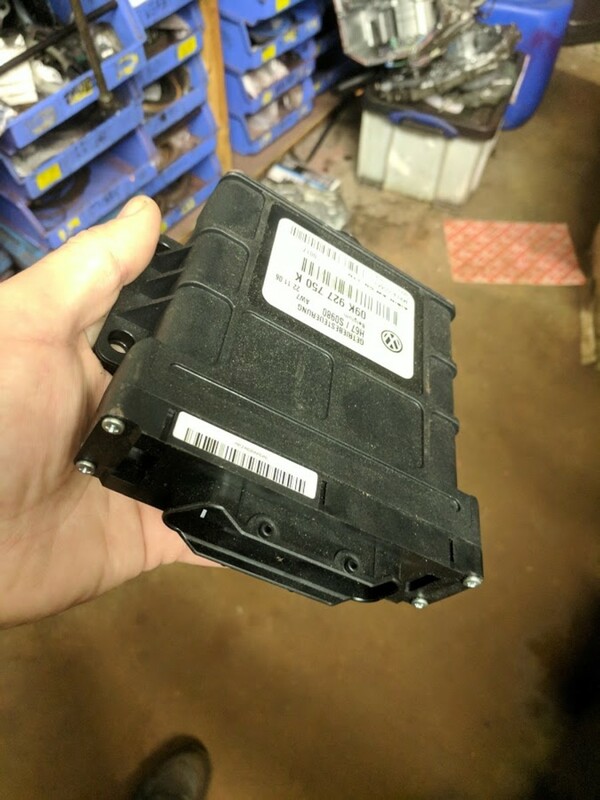 So, not all may be real users of the said SUVs. They just go by the looks or the specs. It is a matter of heart over mind! That said, it does remain valuable for users of such SUVs to come and comment too... It takes the perspective to a whole different dimension. I am actually surprised that none have voted for the Porsche Cayenne Turbo. 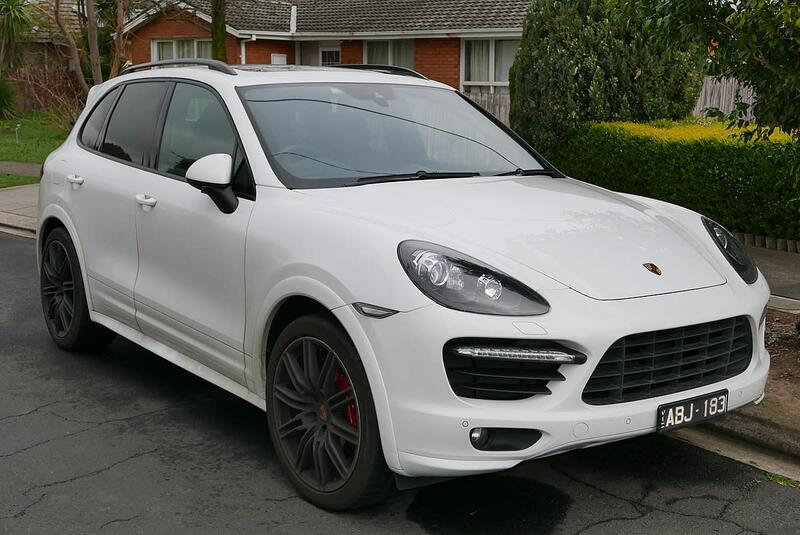 I previously driven the Cayenne Turbo S before and the speed on that SUV is remarkable. The instant power when you step on the throttle is truly phenomenal, until you realized the depleted gas tank about 10 minutes later.